Fear of making the wrong caregiving decision results in hesitation and mistakes. When crises occur, caregivers are forced to make decisions under pressure. Why is caregiving so exhausting when we love our parents? A lack of experience and the pressure of time adds stress and anxiety that complicates the ability of a caregiver to think rationally. Healthcare providers asking for the decision may not have the time or experience to explain the range of options and consequences to caregivers in simple terms. Decision making becomes a game of chance with the life of a parent, spouse, or family member at stake. Caregiving decisions are emotional and may be final and irreversible. An emotional tug of war occurs when a decision has to be made without enough information. Caregivers don’t know the right questions to ask. In some circumstances, doctors push opinions without having enough history about a patient that may change a recommendation. Families trust the doctor because they are afraid to speak up. A parent or spouse dies. Being swept up into the emotional stress of decision making makes it difficult to research the facts and think with a clear mind. It is easy to be misled by a single strong opinion and doubt. In caregiving situations where the stakes are high, it is important to seek individuals with expertise. Experts are able to refocus the situation by setting aside emotions and chaos to examine options and consequences. From my years as a caregiving advocate, I know that mistakes are made daily. 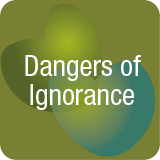 People die because of inaccurate information, errors, and a lack of sufficient oversight. It is difficult for caregivers to know that the right action is being taken when in situations that represent unfamiliar territory. The initial reaction may be to accept the recommendations of individuals who we believe have expertise by virtue of their physical presence in a doctor’s office, hospital, skilled nursing facility, or assisted living community. It is common for caregivers in crises to attach to an empathetic person without asking for credentials to confirm the person is a competent and trusted source of information. Here are three questions that may help qualify if someone has the expertise to help you. What is the length of experience in the current position of responsibility? How many similar situations has the individual managed? Ask for examples. What were decisions made based on the risks and expected outcome? How does formal education, expertise, and training relate to this care situation? How many family caregivers find themselves standing in a hospital room or a nursing home room with a loved one in distress? Community staff is rushing in and out of the room to provide treatment. None of these nurses and other care staff are the final decision maker who has to live with a high-stress decision. Not all healthcare employees have been in the situation of a family caregiver having to make a life or death decision. How do you know who to trust? It’s difficult. If you know your loved one better than anyone else first trust your inner self. Take information given by doctors, nurses, and others under consideration. Ask for as many facts as possible: test results, possible scenarios, risks, benefits, the short and long term prognosis. Some healthcare situations are extreme and temporary and will improve. Others may be the new permanent day-to-day care situation. It is impossible to predict what will happen without the benefit of time if the situation is not life or death. I have seen clients be very ill with pneumonia and totally recover. I have also seen the opposite. Many unfortunate experiences happen today because of hospitals refusing to admit older adults for treatment. Write a prescription and send them home is the new mentality. A client of mine was sent to the emergency room for treatment for suspected pneumonia. She was refused admittance by the same hospital two days in a row because they said she did not have pneumonia. Her care needs were not sufficient to substantiate a hospital stay. On day three the same client was purposely sent to a different hospital who admitted her for treatment. The pneumonia was so advanced my client died within 24 hours. Over the years I have been involved event after event that could have resulted in permanent harm for my clients – if I agreed with the recommendation of healthcare professionals. In one situation, a nurse called me to tell me my client “was actively dying”. Her recommendation was to place my client on hospice and let her die. I disagreed. My client was diagnosed with a urinary tract infection, that can cause delusional behaviors that might mirror someone who is actively dying. My client was treated and lived two more years. The healthcare system makes errors. Healthcare bias exists against treatment for older adults. Family caregivers must advocate instead of being uncertain. Aging parents, spouses, and family members who need care are unable to speak up for themselves. Family caregivers must speak up and speak up strongly! Support exists outside of care facility staff. 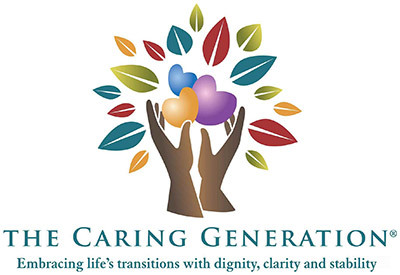 Independent and impartial caregiving experts provide support and peace of mind during the planning and decision-making process. Support is provided to ask the right questions, identify the facts, review treatments, potential consequences, and confidently make decisions. Caregivers, before you make a decision that will irrevocably change your life or the life of another person make sure you deliberate and take the time to investigate options. Consider all sides, look at the consequences of multiple decisions. Decisions made in crises can’t be re-done. When in doubt, seek a caregiving expert to provide support to you and your family member.